Do you dream of a perfect holiday with nothing to worry about? When you choose a Premium Package, you get a fully-equipped accommodation for a restful and luxurious holiday! 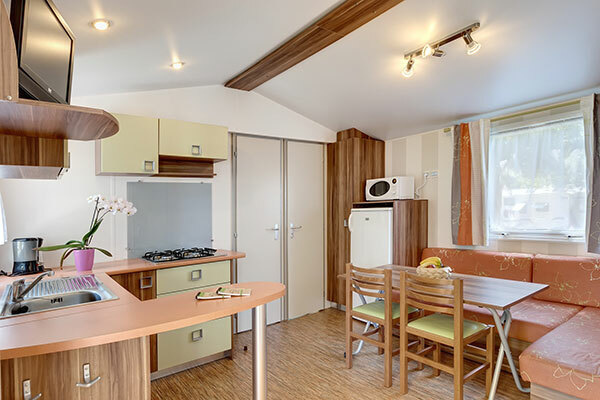 You can choose between the 34 m² Mobile Home for 6/8 people 3BR and the 37 m² Cabin for 6 people 3BR. Their pros? 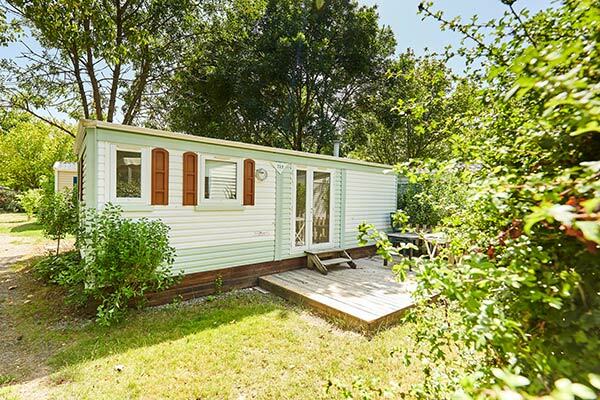 Both have a television, dishwasher, grill and deck chairs so that you can enjoy the Vendean sun! Are you looking for a welcoming stay in a comfortable rental? 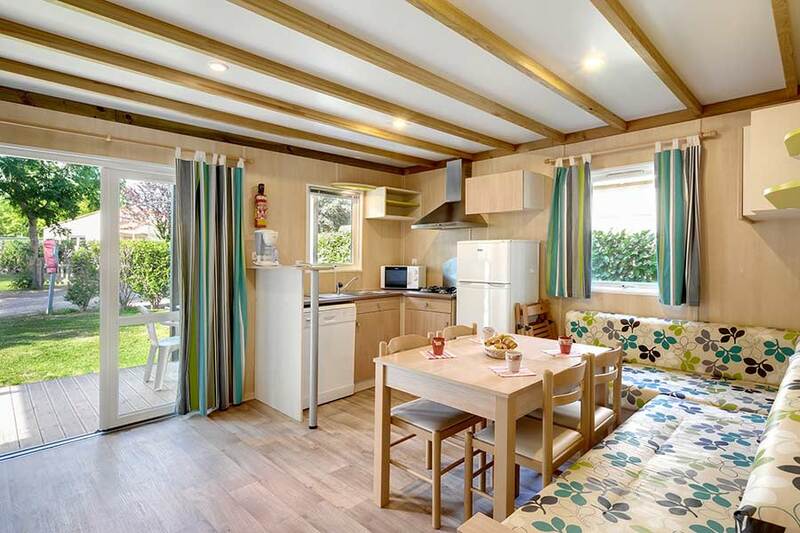 With our Comfort Packages, you can enjoy our 2 or 3-bedroom mobile homes (capacity 4-6 people), which are perfect for a holiday with family or friends. Each accommodation has an equipped kitchen and covered or semi-covered terrace, depending on the model. So go ahead and eat breakfast outside before enjoying a swim at our pool area! And what if you ventured outdoors for your next holiday? Take a chance on our Specialty Package at La Grand’Métairie and come have a unique experience in our Freeflower Lodge Tents. This original and authentic environment combines all the fun of outdoor camping with the comfort of an equipped accommodation. For your holiday with family or friends, the Freeflower Lodge Tent can accommodate up to 4 people with 2 bedrooms and also has a bathroom with shower, sink and toilet. If you love traditional camping, you will enjoy our lush campsite, just a few kilometers from the Vendean beaches. The Rustic Package at La Grand’Métairie takes a little setup, then leads to great times and a warm and friendly experience. 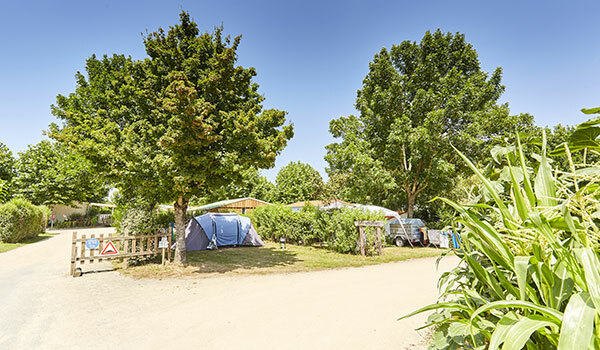 Our pitches for tents, trailers and campers are surrounded by trees for a perfect outdoor holiday. We provide 2 sanitary blocks with showers, toilets, a handicap accessible area, laundry, dish tubs and a baby area. Do you prefer a simple accommodation at a low price? The Eco Mobile Homes for 4/5 people 2BR and Renovated Eco 2/4 people 1BR have been designed for you! 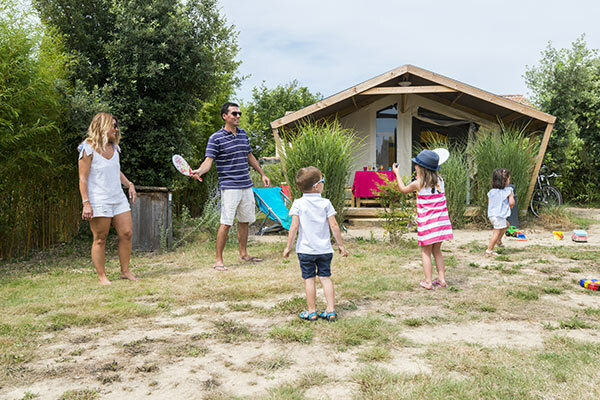 With equipped kitchen area and covered or semi-covered terrace, our Eco Package accommodations allow you to savor your holiday in the Vendée, only 5 kilometers from the beaches.